She's not quite the looker her bf is....but I like her! Hey Bryan - How big is she? 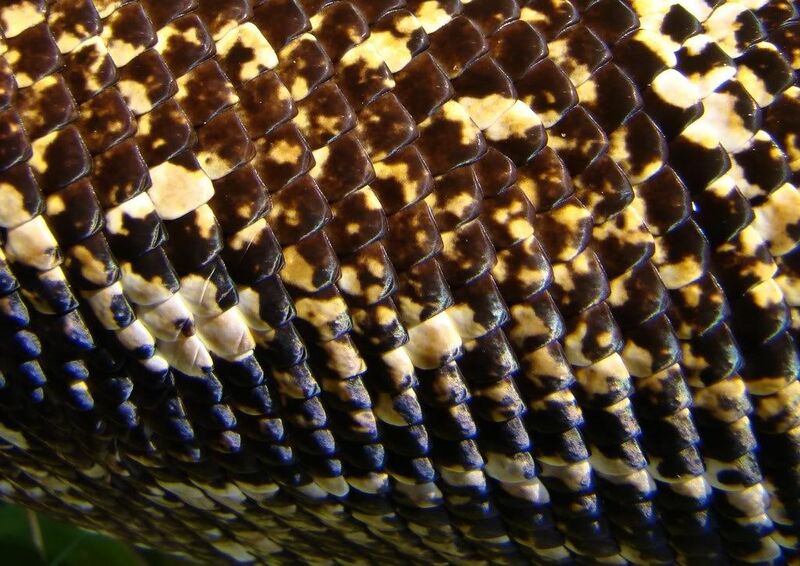 She has a beautiful pattern. I love boas - gotta get some pics of mine up. 1.1 bakhuis tincs, 1.2 cobalts, 1.1 citronellas, 1.1 brazillian yellow heads, 1.1.6 leucs, 1.1 powder blues, 1.1.1 amazonicus, 4 p.mint teribillis, 6 costa rican auratus, 4.2 p.aurataenias , 3.2 "highland bronze" auratus, surinam cobalt tads about to morph as well as two azureus tads. son is getting 3.3 firebellytoads soon! spent like 400.00 just on a fbt tank. am i insane or just love my son! www.treewalkers.org join to help our amphibians! She is a little over 7 feet long and still growing (her mom is a true ten footer). I don't know the wieght. Her mother is an F1 (first generation born in captivity). Dad is an F2. There aren't many F1's left and it's doubtful there will be any new WC (wild caught) exported since they are on the endagered species list. It is currently illegal to get WC. 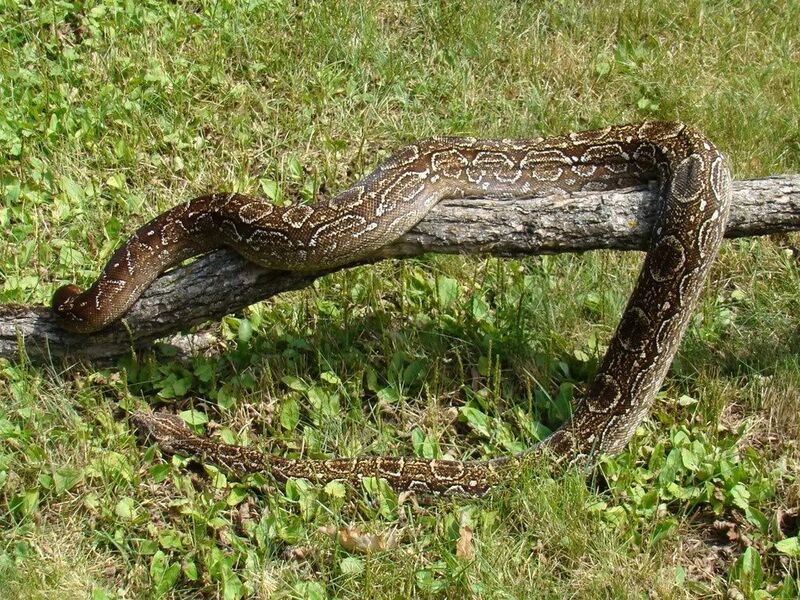 Occidentalis are really neat boas. These boa come from the farthest south of any boa constrictor and it gets cold enough in their home range for trees to drop leaves during the cold season. 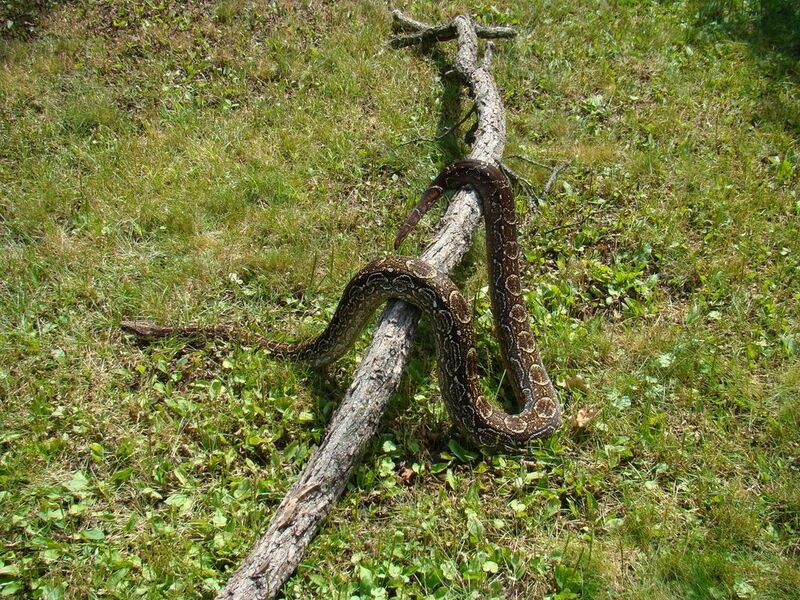 I read a study where boa from Peru, Col, Occidentalis and the large pythons (retics, burms) where put in indoor/outdoor enclosures in a climate that has seasonal freezes. The enclsures were set up to allow acces to inside with heat and allowed them to go outside during the whole year. Occidentalis was the only one that wouldn't go outside during life threatening cold temperatures. I guess this is to be expected given their home climate, but I was surprised the others would go outside during freezing temps and had to brought back in before they froze. Both of mine are extremely calm and will come from the other side of their enclosures (8feet) to investigate if you open one of the doors. Neither has tried to bite after reaching about three feet in length.....as long as food isn't invloved. They have very strong feeding responses and will taste anything moving if they smell food. 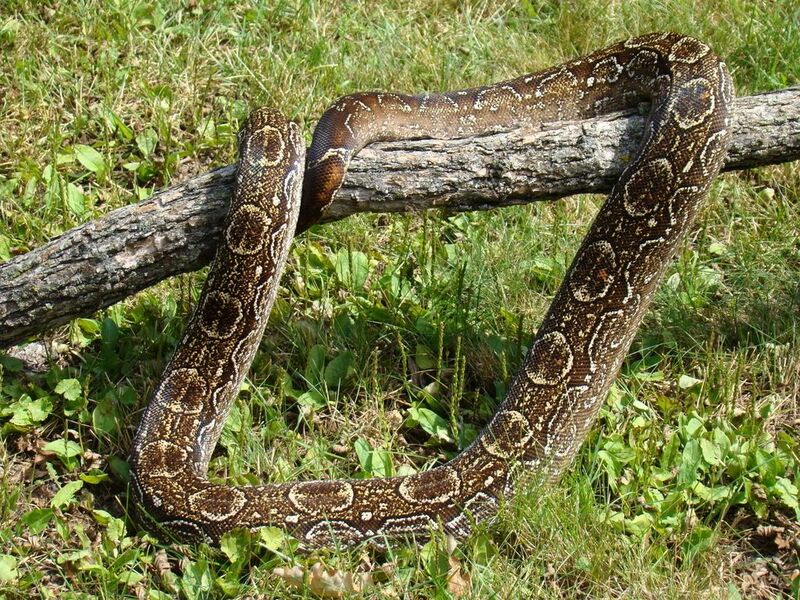 The female of this locale is among the largest of boas. They may not attain the length of some bcc from a couple of locales but will outweigh them if the compared boas are of proper weight. The males are significantly less bulky and shorter. Thanks Bryan for the information. You have a nice pair of occ.